And how each one can help you. How do I get approved for a loan? Who will help me find the right home? Who can help me? Don’t panic! Here are the top four people you need to know when it comes to buying a home. One of the first people you’ll need to work with is a loan officer or lender. This is the person who helps you understand the ins and outs of getting a loan, as well as any requirements or conditions. Before speaking with the loan officer, however, you may want to estimate what a monthly mortgage payment may look like, which you can do with a simple mortgage calculator. Your monthly payment will include homeowners insurance, property taxes paid into an escrow account, and, if you put down less than 20%, PMI or private mortgage insurance. Remember: The bank will provide an initial number of what it thinks you can afford based on your gross monthly income. But it’s up to you to account for your own personal budget and living expenses. Once you’ve spoken with the lender, it’s worthwhile to get a preapproval letter, which shows how much the bank would be willing to lend you based on your full financial picture. Without this letter, most sellers won’t take you seriously and may not even accept your offer. A real estate agent is usually the first person that most people speak to during the homebuying process. Before my husband and I moved to Tennessee, we contacted an agent who specializes in out-of-state relocations. She did an excellent job of searching for properties in Memphis that met our needs and even suggested a few that we wouldn’t otherwise have considered. When you begin your home search, you might start with an online search. While these property listing sites provide formatted data on available properties, a REALTOR® will have access to the latest information and can provide any updates or correct misinformation found online. A REALTOR® can work on your behalf or on behalf of the seller. When you’re buying a home, it’s important to work with a buyer’s agent, whose responsibility is to you, not the seller. You should ask the agent all the questions that are important to you — how much other homes in the area recently sold for, how long those homes were on the market, and any other questions that might help you make an informed decision. 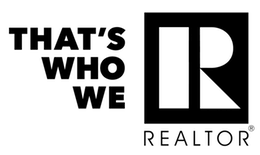 While we were searching for a home, we really wanted to get a sense for what types of events are held in the city as well as activities around the area, all the things that the REALTOR® had a great sense for. Related: What Do Real Estate Pros Look for When It’s Their Turn to Buy? The title officer or title company checks the ownership of the home to make sure there are no potential disputes with previous owners, and, ultimately, will issue title insurance for the property. This insurance protects you and the lender if there are claims or lawsuits against your ownership of the property. Each person has a distinct role in the homebuying process and being informed about exactly what you need from them helps make the process run smoothly. The key is patience — it’s all worth it when you get the new keys to your home! is a nationally recognized millennial personal finance expert. She’s the founder of YoungFinances.com and president of Financial Success Media LLC. She’s been featured in “The Economist” and mentioned in “U.S. News and World Report” as a top personal finance expert to follow on Twitter. Rounding up on purchases, hiding accounts from yourself, and more sneaky saving ideas. How to ensure you get the best possible interest rate you can.